Citation: C N Trueman "Spies of the Cold War Era"
Spies and spying became part of the Cold War game. Both sides in the Cold War used spies as a way of acquiring knowledge of what the other was doing or to spread false knowledge of what one side was doing. Spies could become double agents and the whole story has developed a rather romantic image as a result of Western film portrayals of spies. However, for all of them spying was far from romantic – it was a highly dangerous job and many worked knowing that there was barely any chance of being rescued if caught. A few were exchanged for other spies – but prison or execution were the more usual punishments for being caught – either by betrayal or making errors. Both sides involved in the Cold War used spies from all types of background. The ability to seamlessly blend into the background was vital. The Soviet Union also employed men from Britain to spy on Britain – men who had become disaffected by the British way of life and looked to the east. The most famous were the ‘Cambridge Five’ – graduates who as a result of their background had got into high positions in the British Establishment. Throughout the era of the Cold War information covertly acquired in Britain ended up with the KGB. British agents in the Soviet Union paid a high price for their betrayal. The extent to which the ‘Establishment’ had been infiltrated first became publicly apparent in 1951 when Guy Burgess and Donald Maclean fled Britain for the Soviet Union. They had been tipped off that they were about to be arrested by Kim Philby who from 1944 to 1946 had been head of counter-intelligence activities at British Intelligence. All three men were part of the ‘Cambridge Five’. Burgess and Maclean had passed over to the Soviet Union thousands of confidential documents. In 1955, John Vassal, who was the naval attaché at the British Embassy in Moscow was jailed for eighteen years after spying for the Soviet Union. One year later in 1956, Burgess and Maclean surfaced in Moscow after seemingly disappearing in 1951. Here they were reasonably safe as the Cold War moved to new heights with the Suez Crisis and the Hungarian Uprising. Both sides in the Cold War became more entrenched in their views on the other and to the Soviet authorities Burgess and Maclean were excellent trophies – and also ‘proof’ that the British way of life could not be good. After all, why would two very well educated men leave if their lifestyle was so good there? Also in 1956, Anthony Blunt received a knighthood and was put in charge of the Queen’s art collection. Years later, it was announced that he was the fourth member of the ‘Cambridge Five’. However, in 1956, his appointment was an indication of just how far into the Establishment some spies had managed to inveigle themselves. Nuclear technology was vital for both sides if they were not seen by the other as falling behind. The launch of Sputnik was a huge blow to American pride and its implication for rocket-delivered nuclear bombs was huge. However, nuclear submarine technology was also vital for submarine-launched nuclear missiles. Both sides wanted to know what the other was doing in this area. In 1961, three men and two women were jailed – Gordon Lonsdale, Peter Kroger, Helen Kroger, Henry Houghton and Ethel Gee. They were found guilty of plotting to hand over to the Russians secrets about Britain’s first nuclear submarine. Also in 1961, George Blake was given a 42-year prison sentence for spying for the Soviet Union. Blake had worked for British Intelligence but was, in fact, a double agent and had been for a total of nine years. In 1966, Blake escaped from prison. In 1963, the man who led the ‘Cambridge Five’ fled to the Soviet Union. 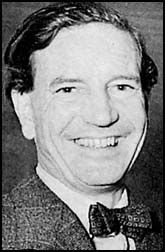 Kim Philby believed that it was only a matter of time before he was arrested – hence his defection. In 1963, Philby admitted that he was the so-called ‘Third Man’. Also in 1963, Grenville Wynne was sentenced to eight years in a Soviet prison having been found guilty of spying for the West. In 1964, Blunt announced that he was a member of the ‘Cambridge Five’ as did John Cairncross. However, neither was prosecuted despite their admissions. In 1971, British Intelligence announced that 120 Soviet intelligence officers were operating in Britain – the bulk with some form of diplomatic status. Consequently the British government expelled 105 Soviet officials. In the past, British Intelligence had been dealing with small groups. However, they received an intelligence goldmine when a KGB officer – Oleg Lyalin – defected to Britain. He exposed those agents he knew of. This was an extraordinary piece of good luck for British Intelligence. However, this did not stop the KGB from attempting to infiltrate British Intelligence. Those agents known by Lyalin were expelled but they could be replaced with agents he did not know. The KGB also put more effort into turning British agents working for MI5. Their success in doing this, however, was blighted when in 1984 Michael Bettany, an officer in MI5, was jailed for 23 years for passing secrets over to the Soviet Union. Russian intelligence had suffered another blow when another KGB agent, Oleg Gordievsky, became a MI6 agent and had exposed Bettany. Gordievsky also exposed other Russian agents operating in the UK and in 1985, 25 of these agents were expelled from Britain. The end of the Cold War and internal issues within Russia, including the break-up of the Soviet Union, led to a reduction in espionage – but it did not end it. In 1996, Russia expelled nine British diplomats for running a spy ring. In 1997, a former MI6 agent, Richard Norwood, was jailed for a year for passing secrets over to Russia. In 2002, Raphael Bravo was jailed for 11 years for trying to sell secrets to the Russians and in 2003 Ian Parr received a ten-year sentence for trying to sell to Russia Cruise missile secrets.